Emergencies are something a lot of us consider emergency services workers, police, doctors, and nurses are involved with every day. I would also add community service workers, allied health workers, mental health workers, teachers and perhaps even farmers, may also experience emergency situations on a regular basis. As I ponder this further it occurs to me that perhaps all of us have experienced or even regularly experience emergency situations in our work environments. Something changes that is unexpected requiring immediate action for some or all of the people involved could be a weekly event in some organisations. Perhaps a sudden financial collapse or loss of funding; urgent recall of a products; staff conflicts/workplace bullying; restructure and redundancies; missed communication with serious consequences; legal action; workplace accidents or illness; computer crash or virus, and so the list can definitely go on. 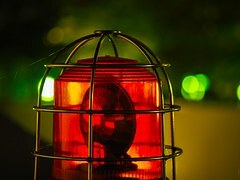 There seems to be a general perception or expectation that people in a work environment adapt and seem to manage these types of sudden changes (emergencies) as part of their job. It is clear to me that how well you cope depends firstly on your personal level of wellbeing and resilience, and secondly on your workplace and team level of wellbeing and resilience. It is useful to reflect on what key things you personally draw on that help you respond to the situation, remain calm and problem solve effectively when experiencing an “emergency” at work. A lot of what we do to support our own wellbeing comes naturally and is based on our awareness and perception. “I really need to book my holiday” is an example of a natural response for feeling the need to balance personal wellbeing. Actively discussing with your team what your team or workplace needs to increase wellbeing along with participating in regular activities that support the wellbeing of the team builds a higher level of resilience and the ability to respond together, effectively in the face of “emergency situations”. Without this type of team awareness and pro-activeness a lack of team cohesion can develop with individuals reacting or responding to the situation individually rather than drawing on the team’s strengths and wellbeing competency. It could be agreed that we all work in an environment with regular emergencies, perhaps some more frequently than others. So if we are having an emergency situation at work that pushes us out of our comfort zone creating or increasing levels of stress, what happens when we also have direct or indirect personal challenges at home? This is a double whammy, and unfortunately an increasingly common situation. Family disability or mental illness, financial crisis, a major loss, relationship breakdown, substance abuse, family separation or homelessness might be common examples. This is when our resilience will be tested and we will need to check in more consciously with the regular wellbeing actions and activities we have in place on a daily, weekly and monthly basis. Adjusting or increasing these activities is crucial to maintaining our level of wellbeing and resilience as this will enable us to respond to the situation, remain calm, find resolutions and ultimately bounce back.